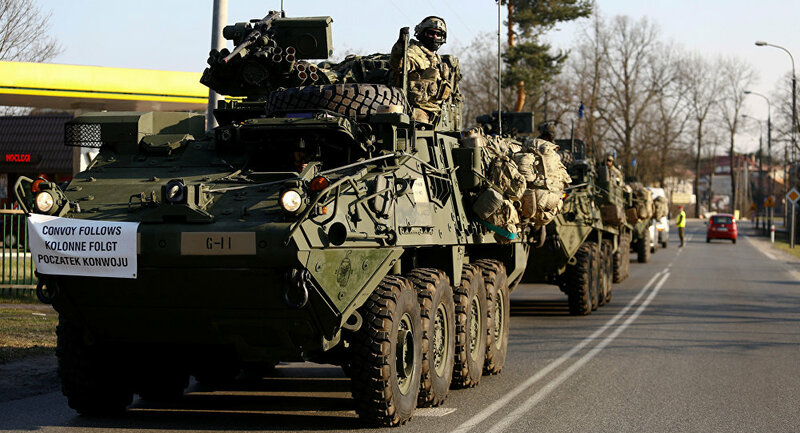 The US plans to send a total of 3,300 personnel and 2,500 pieces of equipment to the Baltic States and Poland, Romania, Bulgaria and Hungary to take part in Operation Atlantic Resolve, which aims to boost NATO's military presence in Eastern Europe. Residents of the German state of Brandenburg have staged a protest rally against more than 2,000 US military vehicles moving to Poland via the state's territory ahead of Operation Atlantic Resolve. In addition to inhabitants of the surrounding eastern German towns, the rally was attended by representatives of the Left Party, the German Communist Party as well as the Social Democratic Party's Labor and Social Affairs Minister Diana Golze and the head of Brandenburg State, Dietmar Woidke. Speaking to Deutsche Welle, Golze underscored that "we called this demonstration because we don't want to get used to these exercises here in Brandenburg." — Марина Саакян 🇷🇺 (@marinochka_san) 25 мая 2018 г. "We didn't want them just to pass by without any opposition. We think this isn't a good time for the relocation of troops to the border between Poland and Russia. We need to think about how to get out of this spiral of violent escalation. There needs to be a diplomatic path, and not just saber-rattling," Golze pointed out. Deutsche Welle also cited Waltraud Plarre, an economist from the nearby town of Lehnin, as saying that "the feeling that many West Germans don't understand is that the East Germans say: The Russians never did us any harm." "We never experienced the Russians having evil intentions. And now trying to stir us all up against each other is not in the interests of German people — neither the people in the West nor the East. There are other powers behind this that want us to fight each other," she underscored. The rally came after Brandenburg government spokesman Florian Engels made it clear that although "the Brandenburg state government fundamentally has a clear commitment to NATO and the alliance's responsibilities," more dialogue with Russia is needed, which Engels said is "the right path." Earlier, Brandenburg State head Woidke noted that "it doesn't help us in the long run if tanks drive up and down both sides of the border." 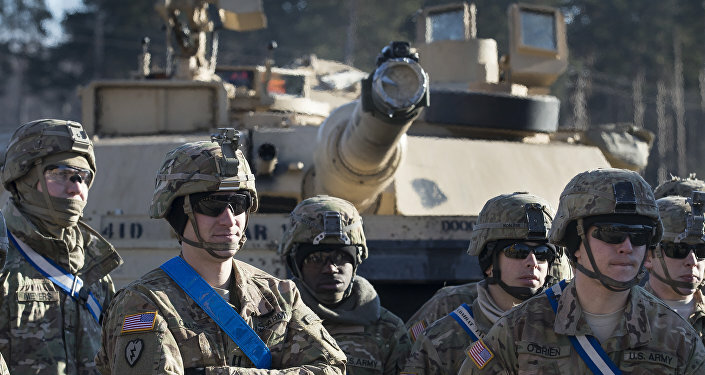 Operation Atlantic Resolve, which stipulates a complete rotation of troops every nine months, was launched to increase NATO's military buildup in Eastern Europe and the Baltic States amid the ongoing Ukrainian crisis as Western countries use alleged Russian interference in Ukrainian affairs as a pretext for the operation. German Defense Minister Ursula von der Leyen said earlier this year that Berlin would play a decisive role in the creation of the new NATO task force, adding that the new NATO headquarters should also be built in Germany. The beginning of 2019 should see the formation of NATO's Joint High-Readiness Joint Task Force in Eastern Europe, which has already been dubbed the alliance's spearhead. Moscow has repeatedly expressed concern about NATO's eastward expansion, saying that it will undermine regional stability and led to new tensions.